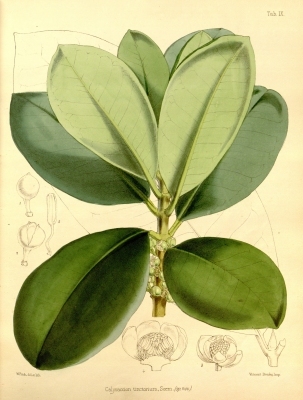 Various articles on plants, including a revision of the genus Acronychia. It can be downloaded from the Internet. The plant is harvested from the wild for local use as a dye and source of wood. Southeast Asia - Indonesia, Philippines to western Pacific.